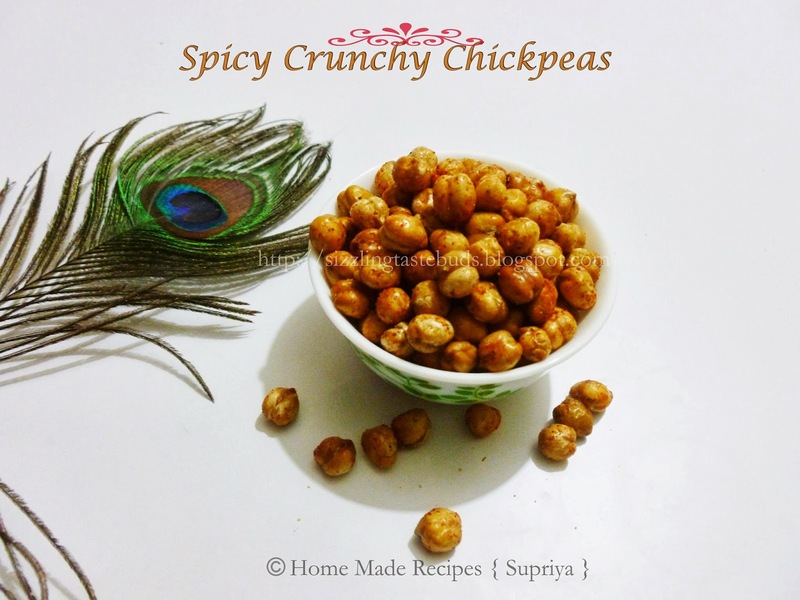 Spicy Crunchy chickpeas is perfect evening snack or call it anytime snack to munch on. This was in my drafts for a long time and finally the day has arrived to be published on my blog. 1. 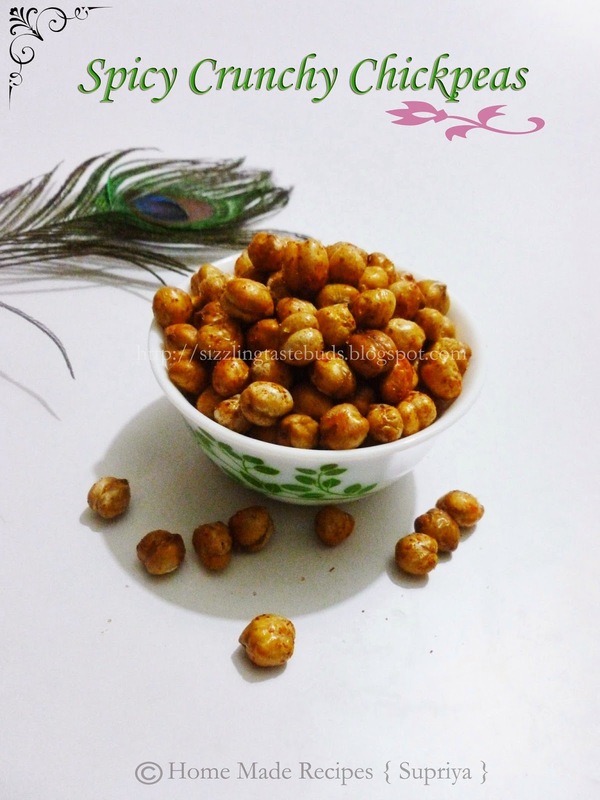 Soak the channas (chickpeas) overnight in water. 2. Pressure cook for a whistle and drain the water. Dry them completely. 3. Mix all the ingredients mentioned above and arrange the channas on a lined baking tray. 4. Roast it for 40 mins at 180 C or till the channas turn crispy in texture.